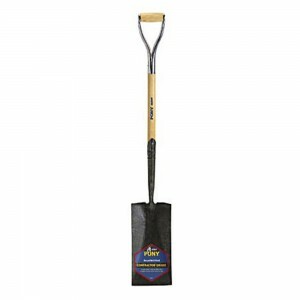 Spade Shovel 27 In. D Handle Pony Contractor has a 27 in. L amored high grade northern ash “D” handle for Maximum Strength. Its Extended blade socket adds strength to handle/socket connection. It has a smooth black design that prevents dirt and mud build-up, specializes in digging and removing earth. It is suited for garden trench work and transplanting shrubs. It has a Double-tapered forged blade for easy entry into soil and its Armor D-grip encases wood to prevent twisting, cannot come loose. 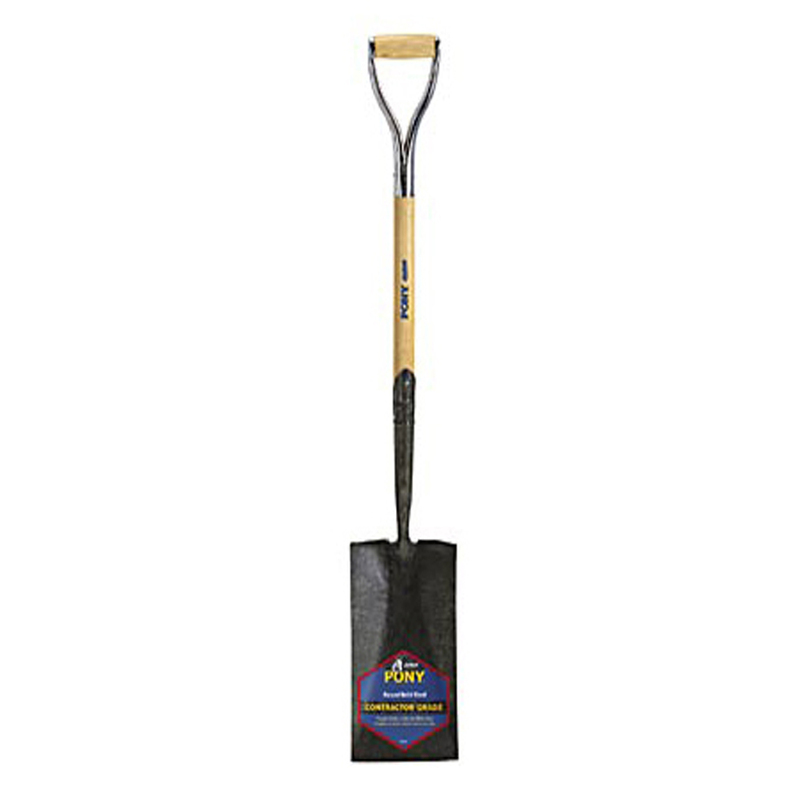 This is a professional grade shovel. Metropolitan Wholesale is New Jersey and the New York Tri-State areas one stop source for Spade Shovel 27 In. D Handle Pony Contractor and all things garden related at wholesale prices. We carry a full selection of wholesale statuary, fountains, tools, cut flowers, planters and pottery, tropical plants, annuals, perennials, seeds and much more.